So there’s an away game this weekend. How will we fill our time before the next home game on the 11th? How can we top that double-header? Enter Jered Schneider. Who is Jered Schneider? He’s a guy that follows us on twitter. I’ve never met him and I’ve only talked to him via tweet and it was never anything big. Then one day he sent me a tweet asking if the Louligans would be interested if he could get a screening of the Jay Demerit Documentary, “Rise and Shine”, in the St. Louis area. Well, yeah we would. Most of you are soccer fans and have heard about the Jay Demerit film. For those that don’t know the story (SPOILER ALERT)- Jay Demerit’s story is almost a fairytale. He was a good soccer player in High School and College and when he graduated he packed a backpack and took off for England with the hopes of playing professional soccer. He started in Sunday park leagues and moved up the ranks until he was playing for Watford in the Championship and scored the goal that got them promoted to the Premiership. He then compounded his success at the club level by playing for the United States National Team in the 2010 World Cup. He’s now playing for the Vancouver Whitecaps in MLS. To put it in perspective, imagine that one of our Lions took off to England without a plan and ended up captaining a small team to the Premiership and playing for the United States in a World Cup. That’s basically what happened. That’s the short version- the long version is in the film. I heard about the film a while ago and I knew it had gotten good reviews and they were trying to get the financing to get distribution. I would hear about screenings in select cities and secretly wished that St. Louis would be on the list somewhere. Jered did too, but instead of waiting around, he made it happen and he decided to let us in on the party. Thanks Jered. 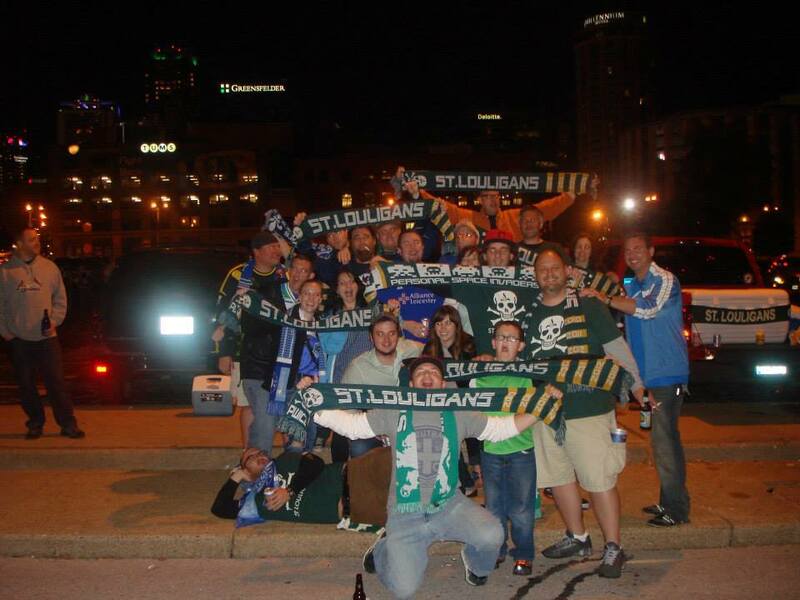 In addition to the St. Louligans, Jered wanted to involve the St. Louis Lions and the St. Louis Chapter of the American Outlaws. You all know the Lions, but you might not know the Outlaws. They’re a supporter group for the US Men’s National Team and they have chapters all across the country. (They also work with the Free Beer Movement- a ringing endorsement for me.) I knew Ryan of the AO St. Louis group also only by facebook and twitter. Again, I fully support that group. Most of us are USMNT fans and having them involved in this venture will hopefully make some cross members between our group and theirs. To appeal to everyone involved, Jered had a great plan and has worked with the Lions to satisfy all parties. So without further ado… The TRIPLE HEADER!!! The St. Louis Soccer Day. All of this takes place at our home ground, Tony Glavin Soccer Complex on June 11th. Step one, at 1pm we’ll watch the film- “Rise and Shine” in the complex. Intermission with a little tailgating from 3pm until gametime. 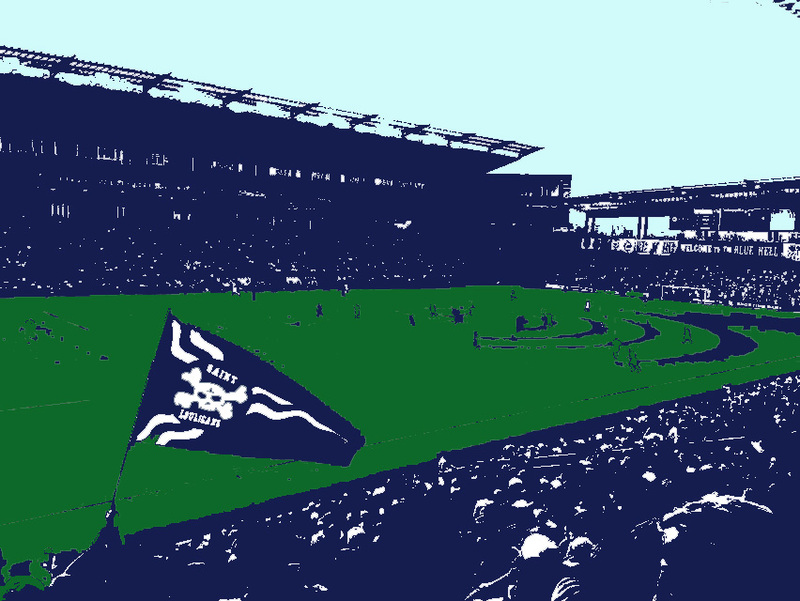 Step two, at 5pm we watch our Lions take on the Kansas City Brass on the pitch live. And Step three, at 7pm the American Outlaws will host a viewing party for the USMNT Gold Cup game vs. Panama back inside the complex. Another full day of soccer for us at the Glavin Complex. We have a chance to see a great film, introduce some newbies to the greatness of the Louligan experience at a Lions game, and to watch the USMNT with the premier supporters group in St. Louis. The cost of this entire day of soccer is $15 with proceeds going to get the film released to the general public. (also- our friends at Objectivo are selling a shirt to raise money for the film- link below) WIN-WIN-WIN. If all goes well, the film will make some money, the Lions will gain some fans, and the Louligans and American Outlaws will gain some members. I honestly can’t imagine a better day of soccer. Best of all, we don’t have to change any of our plans. We were going to be at the park by 3 anyway to drink and hang out- now we get to watch a movie while doing so. Then we should have more fans at the game than usual and that should encourage our boys even more. Finally, we have a good excuse to prolong the day and have a few more beers after the game and watch the USA beat up on Panama. Now, you can help Jered by spreading the word. That’s all he wants. I need you to tell your friends and enemies about this terrific day. Use facebook, email, twitter, electronic forums, message boards, and old fashioned face to face networking to let everyone know about this event. I can’t wait. Below are all kinds of links to share. DO IT. How Many Teams Can One Group Support? Welcome to the party. We’ve been waiting.